Until recently my repertoire in doing my girls’ hair has been very limited, as in a single pony tail. Then I graduated to pigtails. 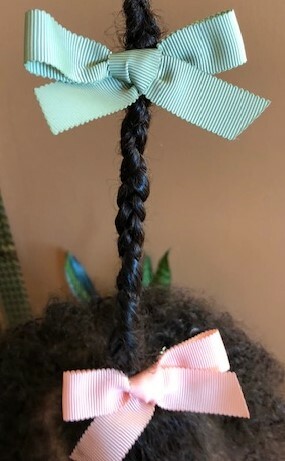 On Monday my oldest asked for a braid. I thought OK no problem. But my fingers fumbled, twisted, and tangled her hair. Thinking nothing of it, I said"OK, Baba (what we say for dad) can’t do it so we’re just going to put on a headband.” She was devastated I couldn’t do it. There were tears. I explained I didn’t know how, thinking that would make it better, but no not even a little. Then Courtney saved the day and showed me how to do it. This morning she asked for a braid again. Suddenly, it was game time—make or break, can dad do this or not. All the marbles. I was very nervous. It was like trial intensity and concentration. But guess what—I did it on the first try. I mean, I’m sure it’ll improve but at least I won’t have heart pounding fear next time, and it’s one more thing to do with my girls. I felt very accomplished before 9 a.m. today.